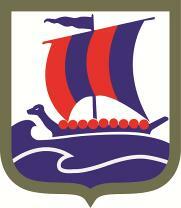 On August 12, the Vikings and I will be attending the 75th Anniversary of the Activation of the 99th Infantry Battalion (Separate), also known as the Viking Battalion, at Camp Ripley, near Little Falls, Minnesota. The address is 15000 Highway 115, Little Falls 56345. I’ve told you about the 99th before. They were a “foreign legion” brigade recruited mostly from stranded Norwegian merchant sailors and Norwegian-Americans, after the Occupation of Norway. They served with distinction in the Battle of the Bulge, and participated in the “Monuments Men” operation. At the end of the war they were in charge of the transition back to civilian rule in Norway. A few of them were siphoned off for special duty, and became part of the original core of the OSS (later the CIA). The event will be open to the public from 2:00 p.m. to 5:00 p.m. The organization’s web site is here. There’s also a Facebook group. Did you say this group was part of the British sabotage squad on Nazi industry in Norway, the one featured in that TV series? No, that was a British-organized operation. The 99th was involved in some commando operations in Norway too, though (they all trained at the same facility).